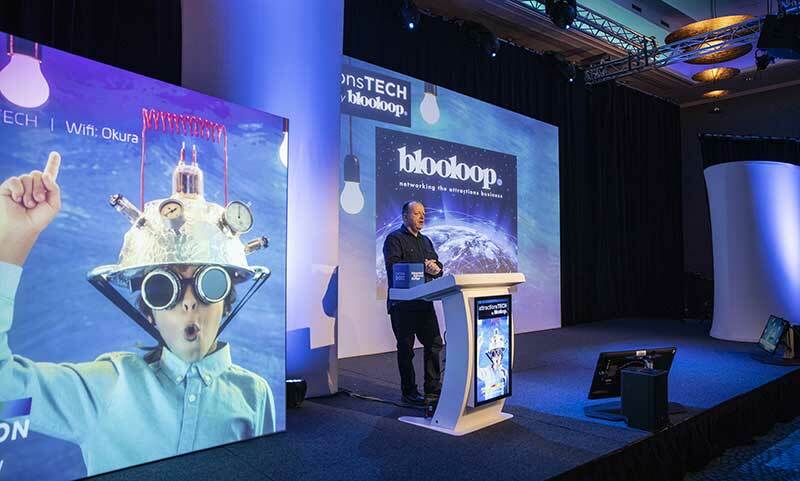 On Friday February 8th at the ISE Show in Amsterdam, Blooloop held its first attractionsTECH conference. Blooloop MD Charles Read opened the attractionsTECH conference. 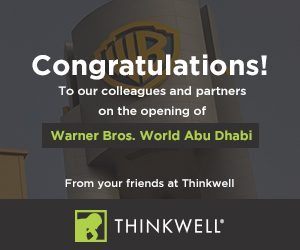 The event saw leading technologists highlight how technology is impacting the world of visitor attractions. 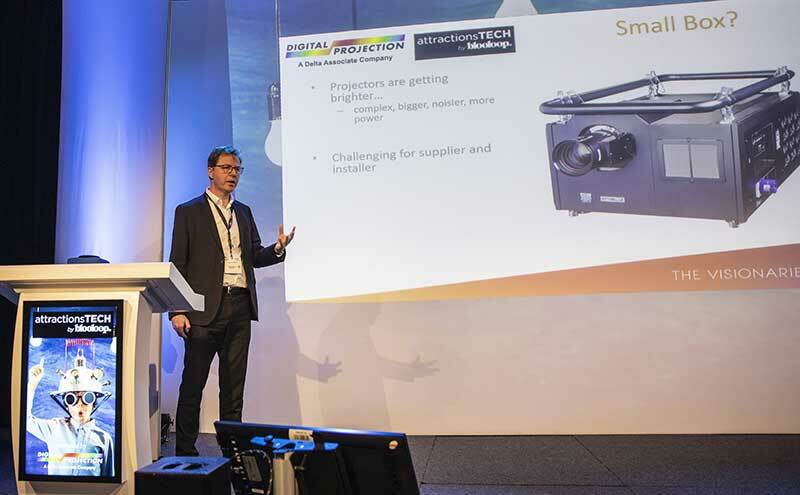 The sponsor for the attractionsTECH conference 2019 was leading digital imaging pioneer Digital Projection and the event was produced in collaboration with our partners ISE. Martin Howe, CEO of Teq4 and Immersivity, was compere for the morning. 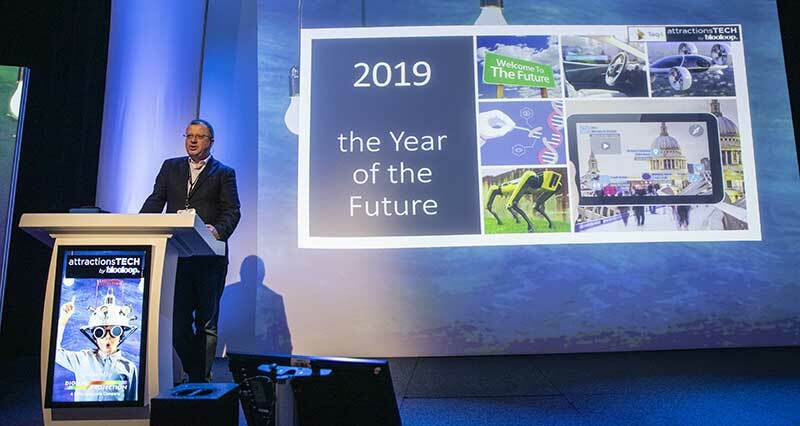 His introductory session set the scene with the hypothesis that “2019 is the year of the future”. After over a century of sci-fi, we now have robotic dogs, virtual reality and flying cars. Therefore technology and money are no longer limiting factors to creativity. 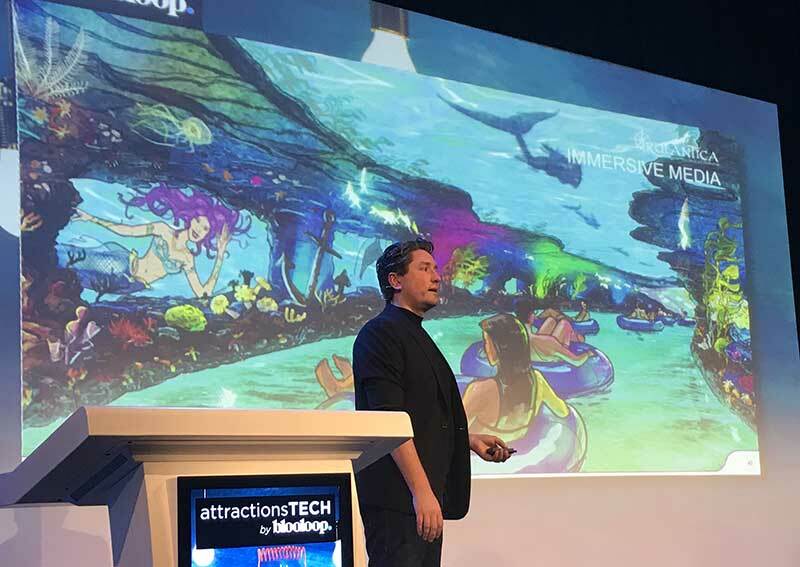 The result is that the latest attractions can integrate (and assimilate) not just technology, but also the visitor and their information. 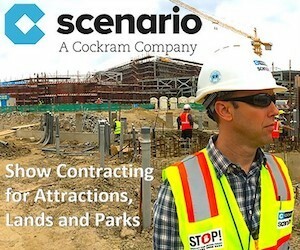 With the ultra immersive Star Wars Galaxy’s Edge on the horizon, visitor attractions will be able to envelop and interact with the guest like never before. Rides like Millennium Falcon: Smuggler’s Run and Star Wars: Rise of the Resistance, described by Scott Trowbridge, Creative Executive at Walt Disney Imagineering as “the most epic attraction that we have ever built”, promise to put the guest at the heart of the experience. 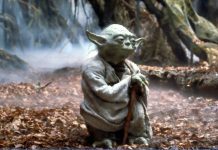 Even the Star Wars hotel will be themed, gamified and responsive, using cutting-edge technologies to transport the visitor to a galaxy far far away. COO & CTO of Digital Projection Dermot Quinn was then introduced by Martin as the “godfather of projectors”. Dermot modestly suggested that he was only the “godson”, with Brian Critchley the godfather. It transpired that Dermot designed a component of the Huygens probe which is currently sitting on Titan, thereby winning hands-down the Fun facts about speakers competition. Dermot gave an overview of the evolution of projection technology. The advances have been remarkable but with projectors getting bigger and bigger and where do we go next? 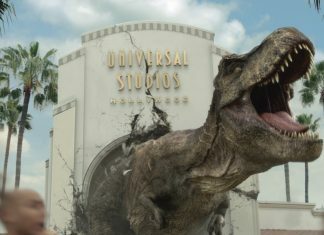 He gave two examples of current projects that have particularly interesting applications for attractions. Firstly, Digital Projection is developing a projector with the head separate from the light source. This allows the bulky light source and and noisy cooling mechanism to be placed at a distance from the image (and visitors). A second project – Multiview – is being undertaken with the Bauhaus University Weimar. Multiview allows multiple 3D images to be viewed on one screen. The 3D glasses worn by the guest determines which image is seen. 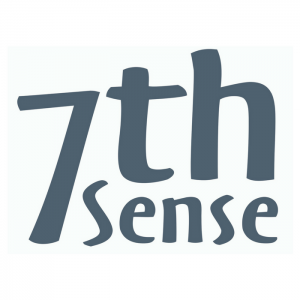 CEO/MD of 7thSense Design, Matt Barton, said Martin, “sends pixels where you want them to go and quickly”. Matt is also Scout Leader with 2nd Chailey Scout Group. The Group is based at Chailey Heritage School in East Sussex, a charitable special school for children and young adults with complex physical disabilities. Through this connection Matt has first hand experience of helping people with special needs enjoy visitor attractions. Technology is out there now that can help to make the world more inclusive. AR could change everything says Matt. 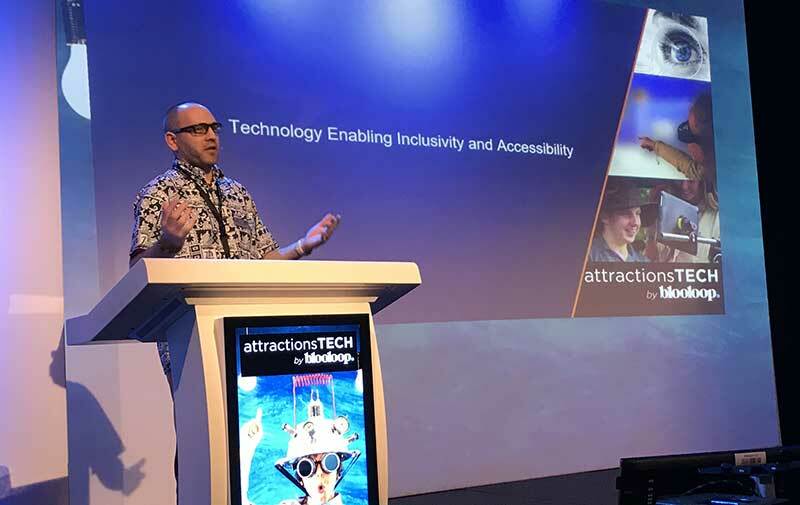 If we can create comfortable glasses that people are happy to wear all around the theme park or museum, we can then deliver enhanced and tailored information to the people who need it. It’s worth considering that not every disability is visible. We can “lose the labels” with RFID and facial recognition. 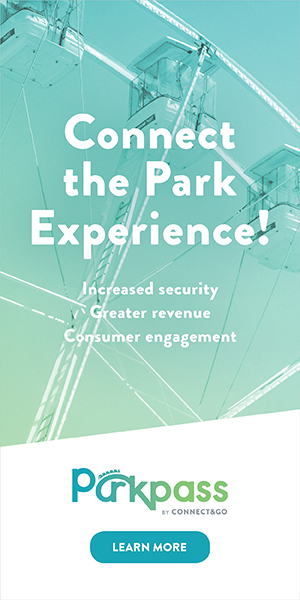 The technology means that all the information about a guest’s needs can be loaded up before they even get to the park. Most importantly, Matt argues that by designing for a spectrum of needs, you can enhance the experience for everyone. 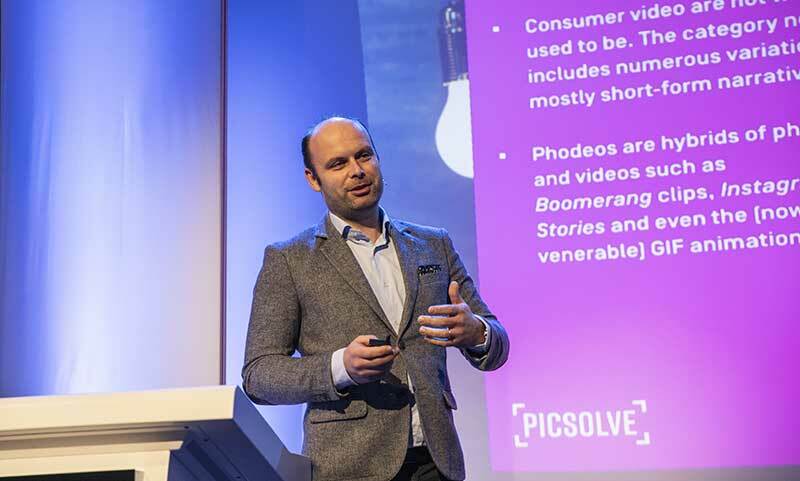 Raphaël is the founder and CEO of Panora.me and Head of Capture Innovation Hub at Picsolve. He says that his job is nice because “our principal raw material is smiles”. He then gave a fascinating insight into the fast pace of change in image capture for visitor attractions. The excellent quality of mobile phone cameras, computation photography, AI, apps and social media creativity, allow visitors to take amazing images, recording and sharing their experience. This together with the popularity of shareable short video means that traditional image capture companies will have to offer something unique, high quality and shareable that guests are unable to create with their smartphones. Guests want image capture to be part of an immersive experience, with an emotional connection rather than just functional. Finally, Raphaël suggests that when we look towards future innovation, we shouldn’t underestimate the creativity of our guests. People are want to work with the technology we provide to create their own content. Next was Bob Cooney, is one of the world’s leading experts in Location-based Virtual Reality. He also has a Yoda/Buddha hybrid tattoo. 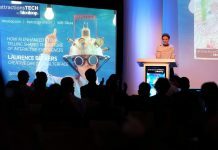 He brought his expertise and experience in VR to the attractionsTECH conference. As the technology improves we will see the arcades of the future incorporating VR as part of an experience resort. 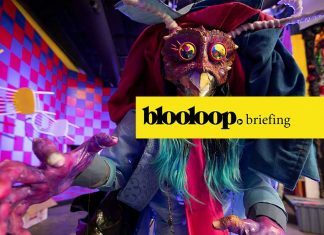 Developments like Two Bit Circus and VR Park in Dubai point the way. Alterface‘s Creative Director is Laurence Beckers. 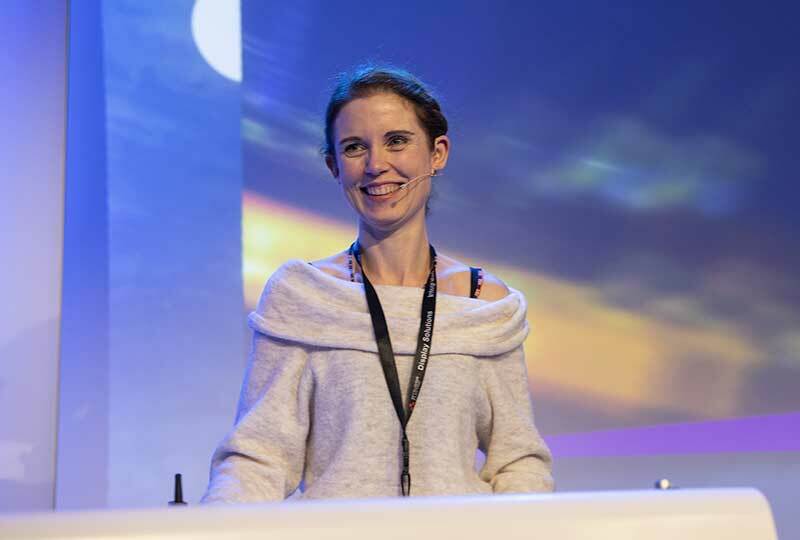 She says that her job is to “transform technology into fun experiences”. 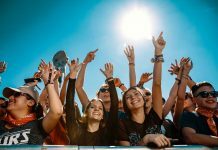 Data analysis, AI, RFID, Extended Reality, video mapping and facial recognition technologies have the potential to deliver compelling interactive experiences. Erratic at Walibi will be the first non-linear interactive ride, creating a ride path dictated by the guest’s interaction. However, artainment attractions like TeamLab and are beautiful but ultimately rather flat experiences, says Laurence because they lack a visceral, emotional and shareable elements. 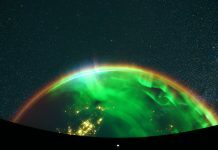 We shouldn’t forget to include low tech as well, with experiences like Vallea Lumina creating an engaging emotional connection. Chris Lange is the Creative Director of Mack Solutions. 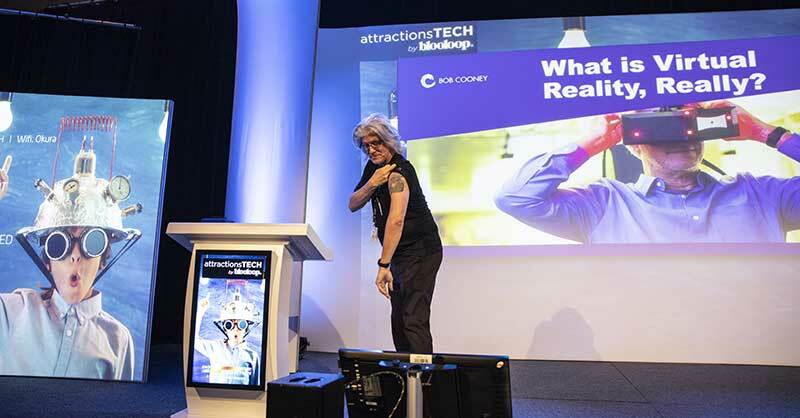 He brought the attractionsTECH conference to a close, with an operator’s view point of integrating technology. 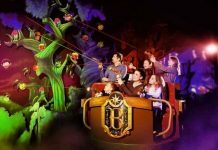 Mack Solutions is the in-house creative and design department of Europa Park, one of the world’s leading theme parks, with well over 5 million annual visitors. 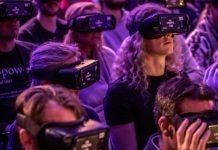 Europa Park has pushed the boundaries of technology, most recently with the Eurosat Coastiality coaster, enhanced with VR and content from the movie Valerian. 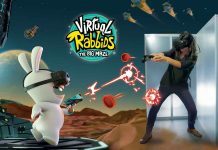 The attraction is also the first “roam and ride” experience, with guests in VR headsets throughout the pre-show and ride. 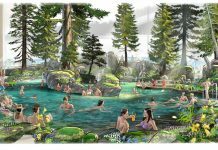 Chris also talked about his latest project, the Rulantica waterpark which opens this year at Europa Park. With eight themed lands and thrilling themed slides from ProSlide, the project includes its own particular challenges in integrating technology to deliver the creative vision. 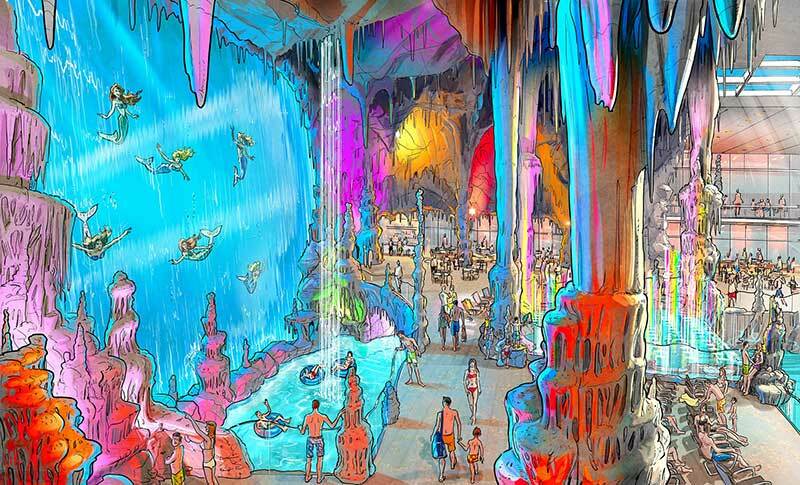 The designs for the Mermaid Grotto and lazy river include moving images of mermaids to create a magical underwater paradise. But integrating the technology in confined spaces in a chlorinated environment has required innovation and flexibility. A key lesson is to keep flexible through the process. Some decisions should be made as late as possible; with a long project timeline, and fast-developing technology you want to be able to use the best products possible. Therefore delaying key decisions about technology where possible, means that you won’t narrow your options too early. The most important thing you do is to deliver emotions, technology should be in the background. A fantastic conclusion to a stimulating morning. Huge thanks to our sponsors, Digital Projection. Also to our speakers, each of whom prepared and delivered engaging and thought-provoking sessions, ISE and to our attendees. Looks like this was a fantastic show. This is a great writeup, Rachel! Let’s hope this is the first of many and I will make the second.